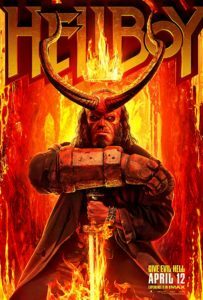 Reviews of books, movies, music, and maybe even games. 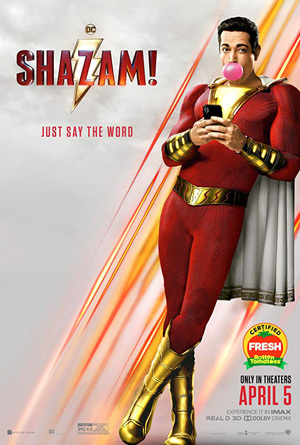 I saw SHAZAM! at the megaplex this morning. 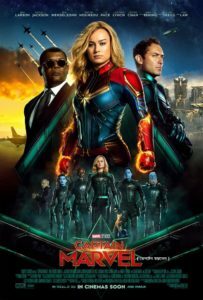 It started slow, but the familial relationships are central to the story—they’re much more than just a screen against which someone gets super-powers—so by the end of the film that slow start was completely forgiven. I wasn’t excited about the possibility that the film might just be Zach Levi doing a 14-year-old adult, so I was quite happy when not very much of the film was Big with capes. Some of it was (there’s even a keyboard mat in a department store) but for the most part the conflict is that a 14-year-old superhero is inherently unprepared for super-powered villainy which has been practicing, and that was just fine. Cutting straight to the chase here, I love this movie. Captain Marvel clears my Threshold of Awesome with room to spare. I’ve wanted more genre-movie Brie Larsen since seeing her in Kong: Skull Island, and Captain Marvel is better than any such thing I could have imagined. She was perfect as Carol Danvers, and the story is exactly what we needed as an introduction to her—with the added bonus of origin stories for Coulson and Fury. In my review of Doctor Strange I expressed how happy I was that the Marvel Cinematic Universe finally had a proper grown-up on stage. I’m excited to see how Carol Danvers interacts with the rest of the heroes in Avengers: Endgame this spring, because Captain Marvel gives us another proper grown-up, and this one didn’t start out as a self centered man-child. There are two post-credits scenes. Beyond that I won’t say anything, except of course there are two post-credits scenes. This is an MCU film. I’m having difficulty summing up my feelings about Alita: Battle Angel. In part this is because the family trip to the movies ended up in an argument about whether or not it was a good movie, and the argument was not one of those pleasant “discuss the film things,” so on that level the film was an utter disaster. I had nothing but regret for the time and money spent on it. I think the largest part of my difficulty in summing things up is that Alita: Battle Angel had difficulty summing itself up. At various levels it’s a morality play, a sports story, a coming-of-age story, a romance, a noir thriller, a cautionary tale, and a visual spectacle. 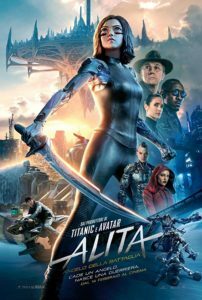 But unlike many films which try to be too many things, Alita: Battle Angel put in the energy to be each of those things pretty well. What it didn’t do was finish the job. To me, it felt like the first two episodes of a ten-episode SyFy series in which they spent their entire ten-episode budget on the first 20% of the production. For my own part, I found Alita: Battle Angel pretty disappointing. And yet I’m with my son on this… I want to get the Blu-Ray so I can see it again.